The June 2018 box theme was "Heroines". 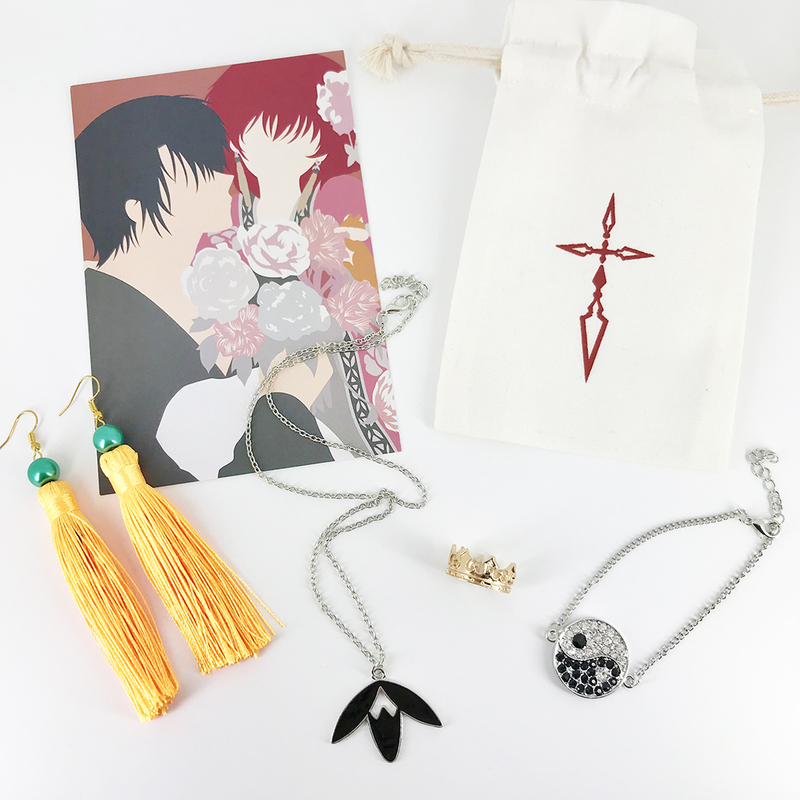 Inside you will find the following items: Yona's Earrings (Akatsuki no Yona), Ying & Yang Bracelet (inspired by Hinata from Naruto), Rukia Inspired 13th Division Symbol Necklace (Bleach), and Saber Crown Adjustable Ring (Fate/Stay Night). Also included is an exclusive postcard print and cotton canvas jewelry pouch. If you missed this box, now is your chance to grab it!